Students at State schools struggling with traditional teaching methods will from September be able to take subjects that focus on hands-on learning. In a major shift of the education system away from a purely academic approach, successful students in these “applied” subjects will earn a SEAC – Secondary Education Applied Certificate. The SEAC will be the applied equivalent of the SEC certificate awarded to students who pass their ‘O’ Levels. It will entail passing two applied options as well as the core subjects Maths, English, Maltese and Science – but these could also be taken in the new, applied versions. Applied subjects will be taught hands-on in workshops rather than through the traditional theory-based techniques. Subjects include IT, media literacy, retail, hospitality and agribusiness, among others (see below). Education Ministry officials tasked with overseeing the changes said they were set to improve the standard of the country’s education system, placing it alongside the best in the world. 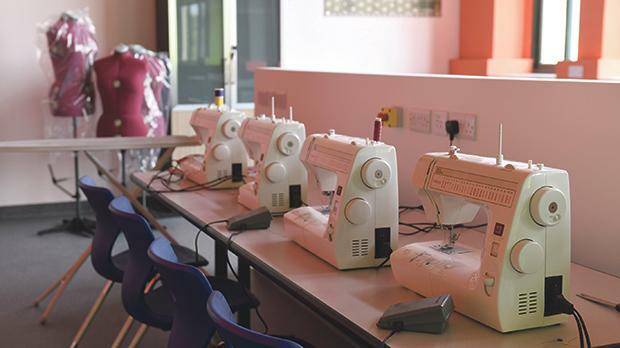 The government had invested significantly in the building of state-of-the-art workshops to cater for the new subjects in colleges all over the island. While syllabi for the applied versions of the four core subjects are also being drafted, it will be up to individual schools to decide whether their students will be able to choose these options. The officials said students in Year 8 (formerly known as Form 2) are currently in the process of selecting subjects they wish to focus on next scholastic year, and the list of subjects will now include the nine that are ‘applied’. These will then be rolled out one year at a time. This means that, for the first time in the history of the country’s education system, those in Year 9 next year will eventually be able to eschew the Year-12 SEC exams, opting instead for a SEAC certificate awarded by the Matsec board. They will still be able to follow courses at levels one, two or three at either Mcast or ITS, depending on the results obtained, but not at sixth forms like Junior College or Higher Secondary. Assessment will also be significantly different, with 60 to 70 per cent of students’ evaluation being “school-based assessment” and only 30 to 40 per cent in the form of exams. Year 2 students have until the end of this month to make their choices. The Education Ministry said that it expects each school to have at least one group for every subject on offer next year. The Malta Union of Teachers has warned that there may not be enough educators to cater for all the new subjects, given that staff shortages have persisted and that four additional vocational subjects will also be introduced. But the ministry officials have dismissed these concerns. They said 60 teachers in possession of a teaching warrant are to undergo a 10-day training course in the coming weeks to make the shift to the applied subjects. Asked how many teachers will be needed to cater for all the students choosing applied options, the officials envisaged requiring about 29. While it was still “too early” to talk numbers, they were confident that there would be enough educators by September. Pressed to say what would happen if not enough teachers were available, and whether they would then consider dropping some of the subjects or limit the number of students, they said these decisions would be taken in March, when they would have more precise numbers. They insisted the revamp would take place in September “come what may”. While teachers were being given the opportunity to have a direct say in the drafting of the new syllabi – something the officials said was a first – the roll-out of new subjects would not be postponed, the said. The ministry would ensure all discussions would be concluded ahead of the new scholastic year. Were parents aboard, given that the new subjects were unconventional? According to the officials, many were happy with the changes and parents often wept when they found out their children would have “other options”. Malta Union of Teachers president Marco Bonnici said the union was not against providing new subjects but its concerns were related to how reforms were being introduced, particularly “the lack of planning”. On the number of teachers needed, Mr Bonnici said that “realistically speaking the numbers look very strange”, especially since the government envisioned having one group for each subject at every school. The union has often complained that the government is failing to address the lack of teachers in State schools. “It is difficult to make a prediction without knowing the number of students who will apply for each of these new subjects. However, given the promotion being made, the demand will most probably be substantial. “The projection should not be for next year only since students choosing a new subject will have it for three years (Year 9 to Year 11). Just projecting what is going to happen next year is outright lack of long- term planning,” Mr Bonnici said. The MUT does not have any information on the type of training being provided to the teachers. “The ministry is also assuming that the teachers doing the crash course will accept to teach the new subjects, and in that case it would also mean that the issue of lack of teachers will become even greater in many of the traditional subjects where these teachers will be shifting their load,” Mr Bonnici pointed out. Meanwhile, a spokesman for the Church told this newspaper that representatives from Church schools had met “a few times” with Education Ministry officials on the matter, pointing out that the initiative was mostly targeted at State schools. “Church schools will continue providing the education for which they are renowned. Church schools are continuously evolving and will take on-board any feasible developments that benefit learners as indicated by their ethos. “At the moment, the government is focused on introducing these applied subjects in State schools. We are confident that in the future there may be collaboration and support between State and Church schools also with regard to these developments,” the spokesman said.